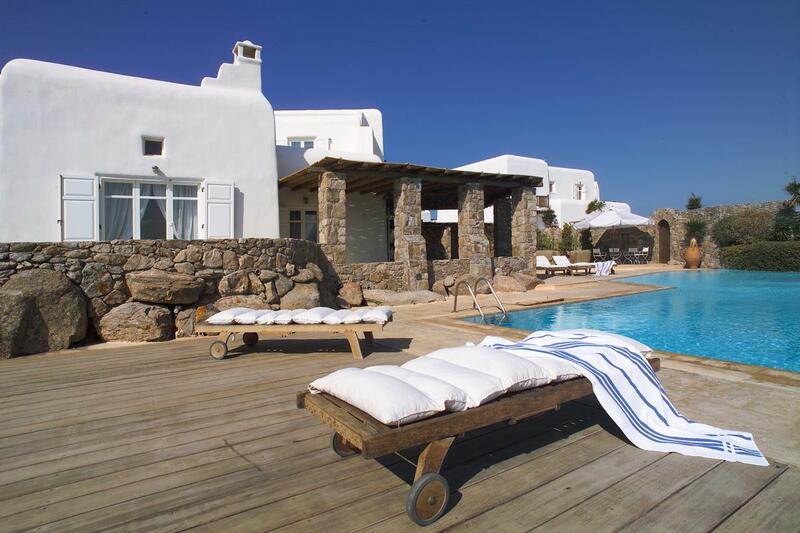 A luxury villa of 430 square meters built on a plot of land of 4.500 square meters located in the area of Ornos Bay, in Mykonos. 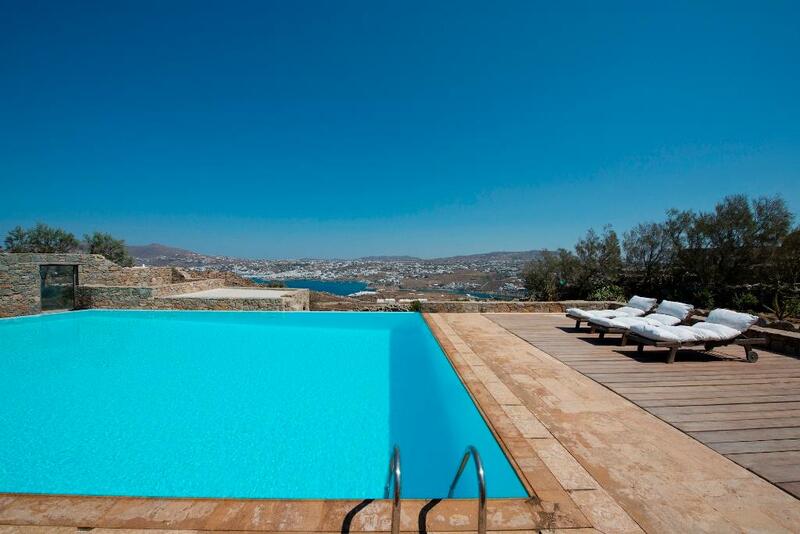 The villa features a private swimming pool and offers an amazing sea view. 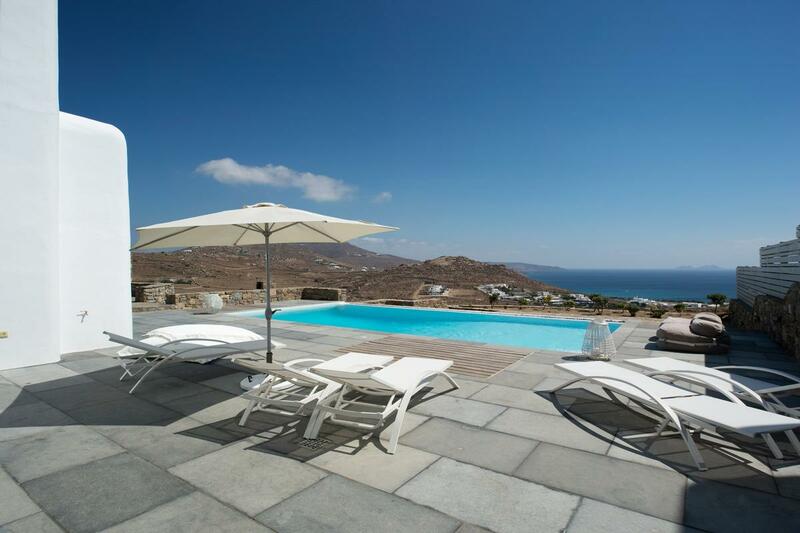 The villa is conveniently situated in Ano Diakoftis, only a short distance from the sea overlooking the beautiful view of Little Venice in Mykonos. 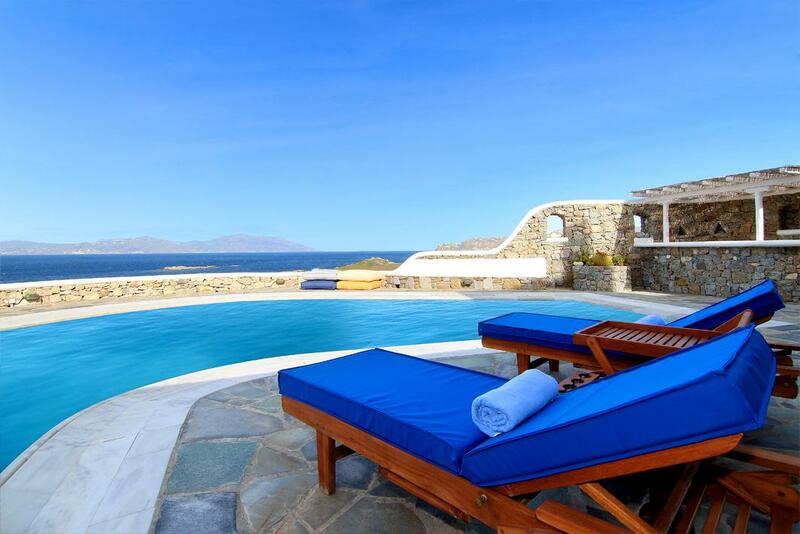 It is built in an amphitheater location, along with one other separate villa. The construction of the villa through the bold rupture of old and new, manages to create a sense of communication between the past and the future. 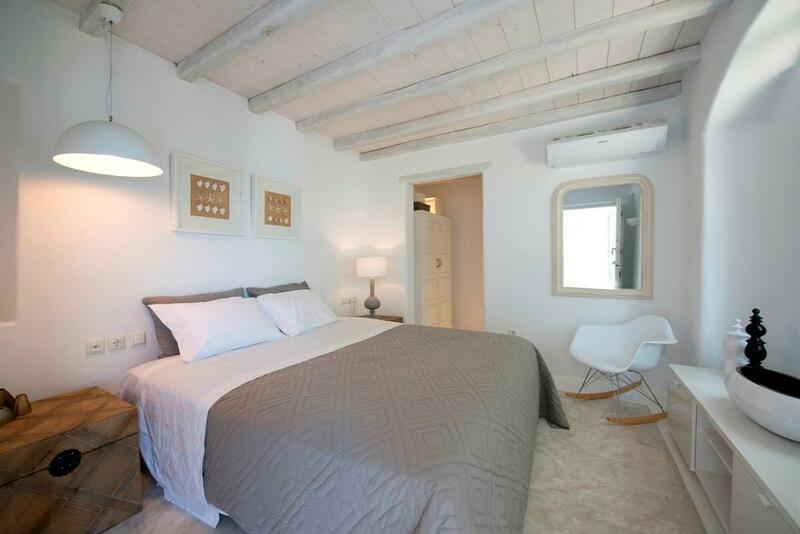 The residence can accommodate up to 12 people, plus two more in the sofa bed and it is built on two levels. The entrance level offers a living room, fully-equipped kitchen, one breakfast area, dining area, one small WC, one master bedroom, one twin bedroom en-suite, outdoor dining areas and BBQ. On the same level, it also includes two outdoor studios with en-suite bathrooms and one studio for staff. The second ground level offers one extra outdoor studio. The upper floor features 1 master bedrooms and one area with sofa bed. The spacious living room (with fireplace) and dining room adjacent to the kitchen, is equipped with all modern appliances while the villa also offers air conditioning (Clima), WI-FI, TV, DVD, CD and alarm system. 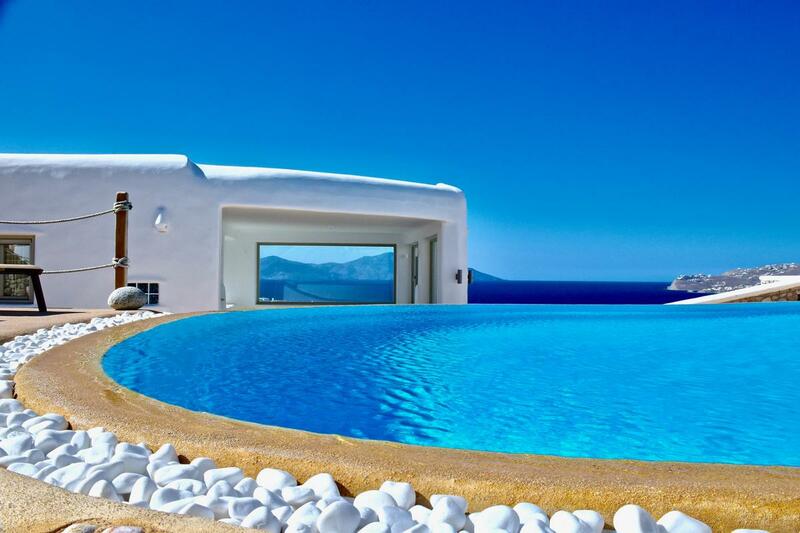 The infinity pool blends with the blue of the sea thanks to the artificial waterfall that is created on the front side. The exterior setting of the residence is shaped in different levels creating more spaces, with both shaded living and dining rooms creating with pergolas, thus making a perfect environment for relaxation.